IMSA partners met for the 2013 Spring Meeting in Italy on May 22nd to 24th. The conference was hosted in Ferrara, a small historical city. It is located in Emilia Romagna, one of the most important regions for the Italian economy, both for agriculture and industry. Its GMP represents 8.9% of the Italian national GMP. 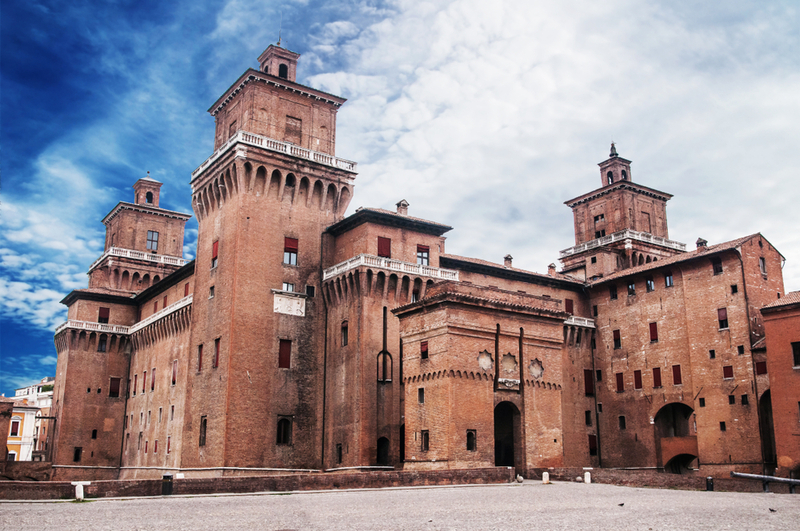 Ferrara is the city of the Renaissance and was included in the UNESCO World Heritage together with the Po River delta. Among other historical Italian cities Ferrara is the only one to have an original plan that is not derived from a Roman layout. It developed from the 14th century onwards and, for the first time in Europe, on the basis of planning regulations that are in use nowadays in all modern towns. The venue was a small hotel next to the Ferrara Renaissance Castle. Almost all Countries attended the meeting and the partners presented some highlights on their national situation – on economy and business. The Assembly re-elected Cedric Meister (IMSA Switzerland) as the President of IMSA, and so also re-confirmed the existing Board. Monika Ciesielska, (IMSA Poland) has been appointed as a new board member. A new member was presented and approved by the Assembly: Alentaris, is the new IMSA member representing Mauritius and operating in the African marketplace. Gérard Bouic and Thierry Goder presented the Company, including client and services portfolio. Maurice Leon (IMSA Belgium) introduced a special project, a cooperation between Goldhand and Alentaris which is expected to evolve through the next few years. Eva Carloni and Petra Johnsson (IMSA Sweden) moderated a session and gave insights about their successful recent program on how to foster the woman’s position in leadership roles. It was agreed to conduct a network workshop with the aim of developing a Pan-European program, focusing on how to strengthen women in leadership positions. Partners shared and discussed globally conducted client assignments and what the ‘lessons learned’ were in order to further enhance our collaboration, e.g. cultural aspects which have to be considered in running complex global assignments. It was agreed that we were successful in substantially expanding the IMSA network over the last couple of years, and we should continue to grow in the future. A suggestion of the board was agreed on how to extend our network further into countries which we see as key for our clients in the future across all continents. Dinners and lunches were dedicated to the tasting of Italian specialties, in a kind of food trip, North to South. As a roaring final of the meeting, a day was held at the Lamborghini factory, visiting the production line of the sports car Aventador.